Hi guys, since SLHQ is not open until February- I thought it might be time to reopen CCH! I couldn't get the Friday night slot, so we'll be running on Saturdays fortnightly from now on, and starting earlier at 5PM till late. Big thanks to CouchWarriors for providing funding assistance as well as loaning me two CW consoles+monitors to use for the event. And big thanks to Chris Ho for agreeing to extract the setups from HQ and letting me have them as well. I actually won't be in attendance for the first CCH, I'll only be back in the country on Jan 13th, so Gab "Gabneto" Ferrada will be opening in my stead. Thank you very much Gab. CCH is gonna be an event for the community, run by the community, so it will be a free-ish, casual place for the community to meet, have fun and have casuals. Edit: Felix also has big plans to implement something special for new players and first-timers at CCH, so hopefully we can get some new blood in. Things come and things go, but only one thing remains eternal: goddamn Encore Pizza. When: Saturday 04-Jan-14 5:00 pm start till late. Shoutouts to the original CCH banner girl: Alison Brie. How I've longed for an excuse to bring you back. George aka Marthicus: 1 x laptop + 24 inch monitor and HDMI. kof, mk9, yatagarasu, melty blood, ae. Daichi: One PS3, Marvel, BBCP. Need someone to bring a monitor to pair with this ps3! Tom: laptop set up, ps3 or monitor for daichi. Edit: Also the venue apparently has a VCR connected to the projector now. Perhaps I can bring in an old tape of Predator or something for that old Deakin feel. Yes love me some CCH! Encore pizzas sales are going to go up 200% just for that night haha. Awesome to see Miss Brie again too! How'd you get to be so S-Rank? 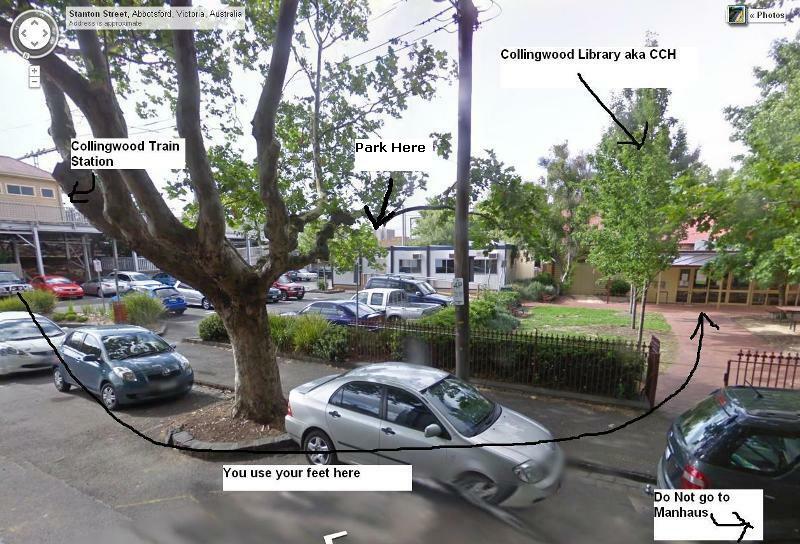 Does everyone remember the furious debate over if this should be called Chris' Club House or Collingwood Club House? Hmm, might have to breakout SF4/Marvel and finally prac it and come along. I could bring BBCP on the off chance that there would be a PS3 and people willing to play it there. It's great to see cch back. Sometimes things become a bit stale the best times in the scene was when there were a whole heap of different events. Hopefully with ultra releasing next year we see things come back a bit and things like cch , sloo, even boxhill or deakin would be great to come back. Good job muttons. I think there will definitely be people happy to play BBCP but we don't have a PS3 on the equipment list yet...are you able to bring yours by any chance? If I could I would, but I'd be traveling by train there and back. Now that I think about it, I don't even know if my stick will fit into my bag. Hm okay, I will ask around and see if anyone can bring a ps3. stoked that this is coming back! Cheers carbuncle, it will be great to see you and your rose again at meetups. Updated the equipment list with yours and some others, it's filling up nicely. I assume this is still running tomorrow night? newcomers look for a Chilean dude called Gab who will show you around, introduce you to folks and find appropriate matches for you if you so desire. Have fun everybody, wish I could be there.